Home / EU / Politics / Poll / Votes at 16: a good or bad idea? Votes at 16: a good or bad idea? Ed Miliband's party, Labour, will introduce votes from the age of 16 if they win the general election in May. He said that it is essential that young peoples 'voices are heard'. If this does happen, 16 and 17 year olds will be able to vote in UK-wide elections as well as local elections - including the London Mayoral election. This pledge was announce on the back of the Scottish independence referendum, where 16 and 17 years olds could vote. It is true that the referendum engaged young people in politics, however the Conservatives argue that it was much different from a general election and that the age of 18 should be kept. 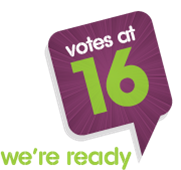 Should you be allowed to vote from the age of 16?